With dozens of elliptical trainers on the market, finding the right one for your body size, fitness level, budget and health goals can be difficult. Many of these products boast a vast array of advanced features but they may not be the most beneficial for your specific needs. Our team did extensive research to find the best elliptical trainers. For each product, we list the specifications, key features and other considerations. If you are not sure what type of elliptical is best for you, take a look at our buying guide to learn more about the size, features and price of these workout machines. Read more about our methodology. 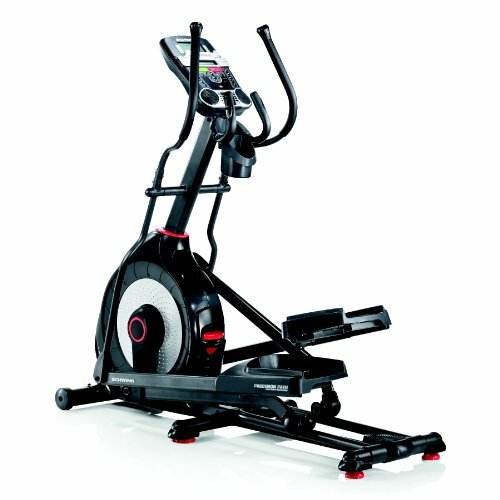 The Schwinn 430 Elliptical Machine boasts numerous features, including 20 resistance levels and goal tracking tools. It offers a smooth ride, 3-speed fan and large footplates so you are comfortable and cool, even during the most intense workouts. Work out your body every day for the price of one month of a gym membership with this elliptical trainer. It is smooth, quiet and compact, making it an excellent addition to homes of all sizes and with lower budgets. If you are looking for an elliptical trainer to help you reach your fitness goals, this device is worth your consideration. With a large 5-inch display screen, iFit compatibility and 26 pre-set workout programs, you have the tools you need to improve your fitness, add variety to your exercise routine and keep track of your progress. Add versatility to your daily workouts with this elliptical cross trainer. Users up to 250 pounds can enjoy this powerful machine and work different muscles using the fan bike or the elliptical trainer. Enjoy a high-intensity workout from behind your office desk or in a small apartment using this mini elliptical trainer. It boasts adjustable tension to help you increase your calorie burn, a quiet and smooth operation and is extremely simple to use, particularly if you sit most of the day. If you are looking for a device that offers versatility, durability and intensity, this seated elliptical trainer is worth your time. Choose between a standing and sitting workout and 14 resistance levels, and utilize the heart rate sensors to help you quickly reach your target heart rate. Elliptical trainers are created for different users in mind. Seated elliptical trainers are ideal for those who have stability issues or severe back pain. These machines are also great options for the elderly who may have a difficult time getting on and off the device on their own. Standing ellipticals target more muscle groups. They can provide harder, more intense workouts, along with higher calorie burns, particularly if you use a product with moving arms. Before purchasing an elliptical trainer, you must consider who will regularly use it. If you need a device for a single user who weighs 150 pounds, you can look at a more basic product. Whereas if you are looking for a machine that will be used by multiple members of the family, including individuals weighing more than 200 pounds, you will need a much more powerful, high-quality product — often an elliptical trainer with a higher price tag. Additionally, you need to consider the height of your users. Taller individuals will have longer strides so you should consider larger base frames to ensure they enjoy the full range of the elliptical. Furthermore, as you move up and down on these products, you rise several inches off the ground. Taller individuals may hit their head on lower ceilings if you do not carefully evaluate your user’s height along with the planned location of the device. If you are considering an elliptical trainer to lose weight, increase your cardiovascular fitness or for other health-related goals, you need a machine that offers resistance levels and workout programs. Several of the best products feature more than a dozen resistance level options and workout programs to help you increase the intensity and focus of your workout. When using an elliptical trainer that lacks resistance options, you must increase the intensity yourself and reaching your target heart rate may require longer workouts. Just as the overall design of the elliptical trainer varies, so does its size. If you live in a small apartment or you wish to move the elliptical up or down stairs, you need to consider a device that is easy to move. Some products are foldable and can easily be stored in a closet or under a bed. While large commercial units may boast the features you desire, they may take up too much space in your home. Elliptical trainers can be complex and advanced devices. Assembling the product incorrectly can result in loud, creaking noises as well as jarring movements. These devices can also take several hours to install and require many hands. If you aren’t a handyman, you’ll want to consider products that are easier to assemble or you won’t receive the full benefits of the device. However, if cost isn’t an issue, some people hire individuals to put elliptical trainers together for them, which can add several hundred dollars to your purchase. Elliptical trainers less than $400 are very basic machines. 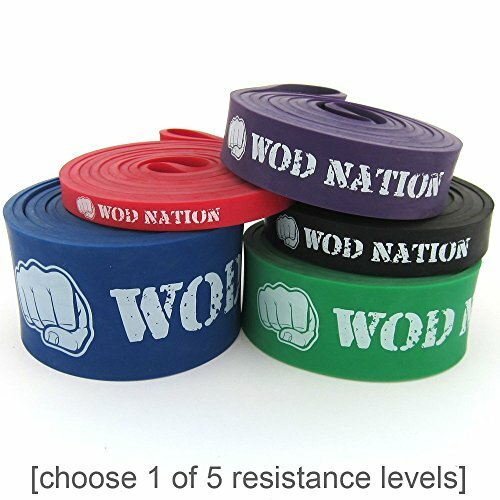 Products in this price range still provide the fluid motion that you desire but may lack many monitoring tools, resistance options and built-in workout programs. Trainers that cost $400-$1,000 generally offer a number of monitoring tools, durable construction and can handle several users and larger weight capacities. Products greater than $1,000 are commercial units like those you will find in the local gym. They have longer lifespans and can be used for longer periods of time and are designed with a variety of users in mind. 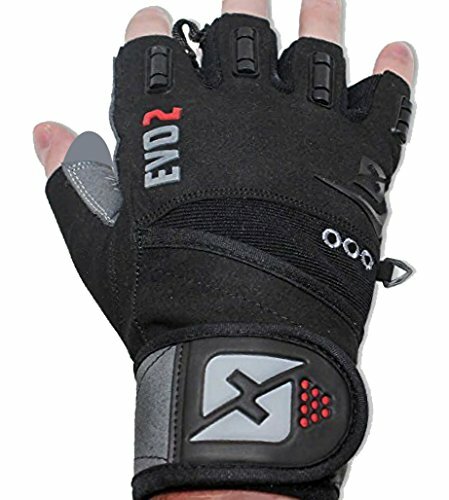 They feature several built-in workout programs, higher resistance levels and larger weight capacities. Users with a variety of fitness goals and body weights will benefit from this elliptical trainer. It boasts 22 preset workout programs, 20 resistance settings and goal tracking features to help you find the right level of intensity to meet your goals. Users up to 300 pounds can enjoy this product without affecting its performance and built-in speakers and a USB port help you stay entertained while using this machine for long periods of time. Variety of workout options. With 22 preset workouts to choose from, there is something for every mood and fitness goal. Plus, with 20 resistance levels, you can adjust the intensity of the machine to best match your workout. Excellent for larger users. 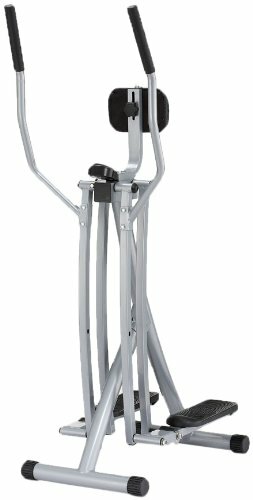 This elliptical trainer can handle users up to 300 pounds without affecting its performance. Many elliptical trainers in this price range aren’t capable of handling heavy users. Easy assembly. Many users of this device praise its easy assembly. While it still takes some time to put together, it includes everything you need to put it together quickly and easily. Entertainment features. Using the built-in charging USB port, you can plug in your smartphone or tablet and enjoy music or watch a show while working out. Built-in speakers make listening to your favorite media a breeze and a tablet holder makes viewing all content hassle free. 13 display options. Receive real-time feedback on your workout using the dual-track LCD window display. You can monitor up to 13 real-time statistics all from your main console. Too large for smaller homes and apartments. This machine is 70.1 inches x 28.2 inches x 63.2 inches. It is bulky and you will need a considerable amount of space in your home for it. Luckily, it does feature transport wheels to help move it if necessary. The Sunny Air Walk Trainer is an excellent elliptical trainer for individuals who are just starting their fitness journey and the elderly who don’t need high-intensity workouts. This device offers a handful of monitoring options and you can continually track your time, count, distance and calories burned on a small display screen. This machine’s small and compact design is excellent for smaller apartments, and it is foldable so storing it is no difficult task. Lightweight and compact design. Weighing only 37 pounds, this product is extremely lightweight and is easy to move from one room to another. You can also fold this elliptical trainer, letting you easily store it in a closet or under the bed. Quiet operation. 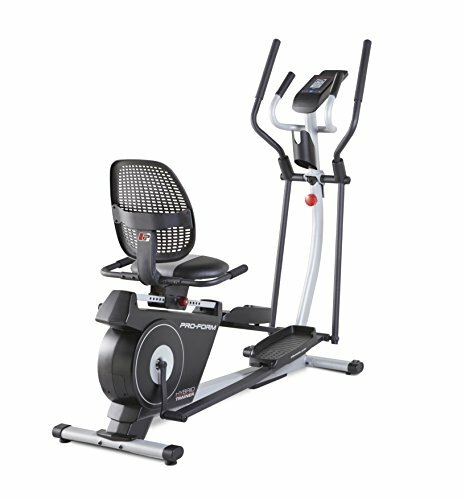 When utilizing this elliptical trainer, you won’t hear any loud creaking noises or experience rough, jarring movements. Many users love the quiet and smooth operation of this machine, which is difficult to find on a product within this price range. Monitoring options. Keep track of your workout statistics with a small display screen. You can view your current time, count, total distance and estimated calories burned during your workout. Uncomfortable for shorter individuals. An abdominal support pad keeps you comfortable and can improve your stability while you exercise. However, shorter users may find the abdominal pad is uncomfortable and gets in the way of their workout. You may need to remove the abdominal pad to fully enjoy this machine. No resistance options. This elliptical trainer does not offer any type of resistance. This means you may need to work faster and harder to reach your target heart rate. If you want to receive real-time feedback or access a detailed workout history, an elliptical trainer that monitors your fitness is ideal. These products typically feature a display screen that shows your current distance, time, pace, calories burned and even your heart rate. Many advanced devices boast built-in wireless connectivity options or Bluetooth, which lets you sync with a mobile app and track of all your fitness goal no matter your location. 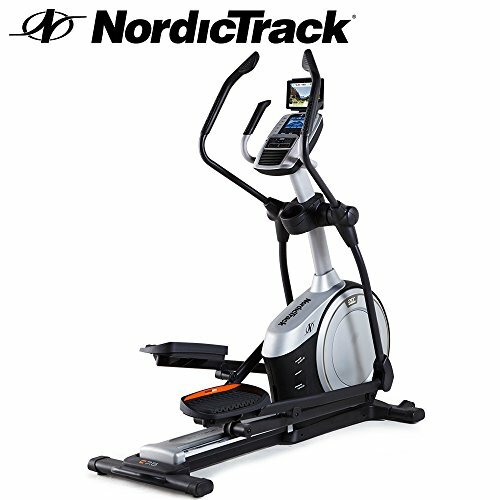 Monitoring your fitness and tracking your progress has never been easier than with the NordicTrack C7.5. A large 5-inch display screen provides real-time feedback and by utilizing this device’s iFit features, you can track your workout stats as well as enjoy new workouts and Google Map training routes. If you need to add variety to your workouts each week, this device boasts 26 preset workout exercises and 22 resistance levels. Dozens of preset workouts. With up to 26 preset workouts, there are plenty of options to help you get the results you want. You can also increase the intensity of each workout using one of the 22 resistance level options. iFit Enabled. iFit integrates with your elliptical and provides Google Map routes and daily workouts. It also features automatic statistics tracking, ensuring you have a detailed log of all your progress. However, iFit does come at an additional cost. 5-inch backlit display. Easily view your workout statistics using the 5-inch backlit display. You can view several statistics at once including your time, distance, speed, heart rate and calories burned. Adjustable incline. Increase your workout and burn more calories by increasing your incline on this machine. You can adjust the incline between 0 and 20 degrees, which is a feature that only a handful of elliptical trainers offer. Difficult to assemble. This elliptical trainer can take a considerable amount of time to assemble. You may need more than one person to set it up and several hours to do the job right. Enjoy a full body workout with an elliptical cross trainer. This type of workout machine is ideal for anyone who is seeking a low-impact workout, yet needs some versatility in their daily exercise routines. 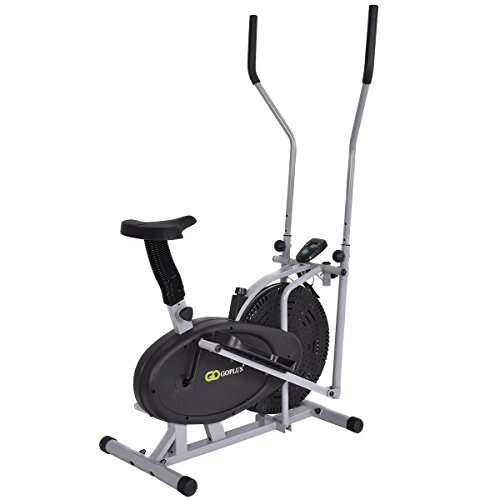 The products in this category feature a unique design, letting you enjoy the benefits of both an elliptical and a bike. This workout machine is an excellent option to keep you fit and healthy within your own home. You can easily target different muscles using either the fan bike or by standing and utilizing the elliptical trainer. This product is an excellent option for smaller spaces and is built using heavy-duty materials. You can also keep a close eye on your workout statistics — such as your distance, speed, calories and time — using its LCD display. Small dimensions. Measuring just 36 inches x 26.4 inches x 64 inches, this product is an excellent option if you want a sturdy machine in a small exercise room or an apartment. It weighs approximately 67 pounds, so it isn’t too difficult to move, if needed. Easy to assemble. Everything you need, including detailed instructions, are included to help you put this elliptical trainer together in a short amount of time. This means you can set up and start working out in one afternoon. Adjustable seat. You can adjust the seat both horizontally and vertically to accommodate your desired exercise, your body height and body type. LCD display that monitors workout statistics. A user-friendly console helps you navigate the settings and LCD display on this product. It also showcases real-time workout statistics including your current distance, speed, time, pulse and calories. Uncomfortable seat. If you plan to use the fan bike regularly, you may need to purchase a different bike seat. Many users report they needed to replace the bike seat as it was too uncomfortable to sit on for long durations. If you want to increase your physical activity in your office or you have a small workout area in your home, you should consider a mini elliptical trainer. While it lacks poles to hold onto, you can still stand on these machines, giving you the ultimate core workout, or sit down on a chair and receive a powerful lower-body workout. These machines are small, portable and quiet, so even in an office setting, they won’t be a distraction. 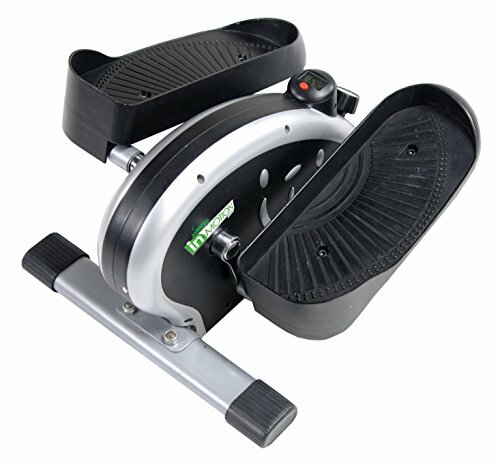 This mini elliptical trainer is the perfect tool for individuals who sit all day and want to increase their activity. 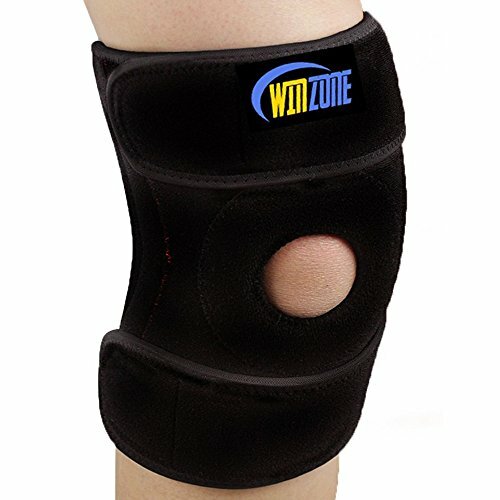 With a smooth and quiet operation, a compact design and a steel construction, it is an excellent addition to use while sitting in your office or for the elderly or overweight who may have a difficult time standing for long periods of time. Easy storage. The compact and small design of this mini elliptical trainer makes it easy to hide under your desk, beneath a bed or in a closet. It is only 21 inches x 14 inches x 14 inches and weighs 30 pounds, making it easy to move around your home and exercise in various locations. Adjustable tension. You can increase the intensity of your workout using the adjustable tension. By using this feature, you can easily increase your heart rate and the intensity of your workout. Color options. This is one of the few elliptical trainers available in multiple colors. You can choose between lime green, black and bright orange exteriors, which can add a little pizazz to your workouts. No upper-body workout options. The lack of poles means that you can’t work out your upper body with this product. 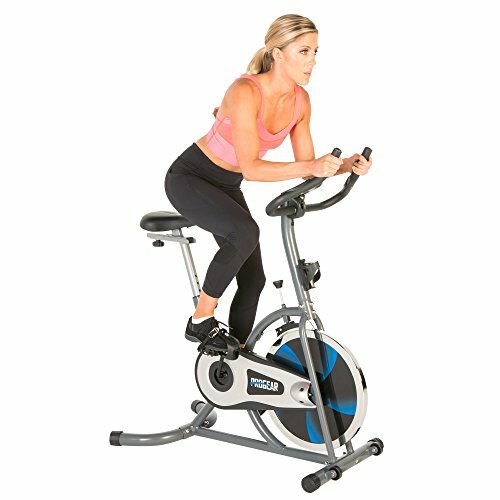 This elliptical targets your abs when standing, but is strictly a lower-body workout when used while sitting down. Many of the best seated ellipticals let you stand or sit during your workout, which helps you target different muscle groups. These products typically are rated for higher weights. The seated design also makes it an excellent option for the elderly, those with severe back problems or individuals with balance and stability issues. Larger individuals, the elderly or those who just want to change their exercise routine will enjoy a smooth and quiet workout with this seated elliptical trainer. Easily mix up your daily exercise routine by choosing to stand or sit on this device and using the soft grips poles, you can receive a full body workout. Even more, the multiple resistance levels and target pacer help you improve your fitness level and reach your target heart rate. Large weight limit. Users up to 350 pounds can benefit from the many features this product offers without causing damage or affecting the machine’s performance. This makes this elliptical an excellent option for overweight individuals. Great for heart health. Increase your intensity and get your heart rate up using one of this machine’s 14 resistance levels. You can also check your current heart rate using the built-in heart rate sensors. 5-year warranty. This product boasts a long 5-year warranty. Many basic elliptical trainers only offer a one or two-year manufacturer warranty. Large, adjustable pedals. Whether you choose to stand up or sit down, the oversized pedals help keep your feet in place and your balance strong. Additionally, adjusting the pedals is extremely easy to do. You simply loosen the pedal knob and slide the pedal to your desired location. 15-inch stride. The 15-inch stride is great for shorter individuals but taller users may not receive the full range of motion that they desire in this type of product.